Welcome to the UNT Data Spot! What Exactly is the dataspot? • A one stop point of entry for various types of static data regarding student retention, grades, enrollment, degrees, etc. Content on the dataspot should be used for internal management and programmatic decisions only. Unless expressly stated and marked in the dataspot with the tags of “official” and for “external use” other information is “unofficial” and not suitable for grant applications, research studies, reporting to external agencies, accrediting bodies, and governmental oversight groups. The dataspot is the result of a collaboration between of over 20 different offices and divisions representing all major data providers across the UNT campus. Our partners have committed to supporting this initiative through their participation inthe building and implementation of the dataspot. 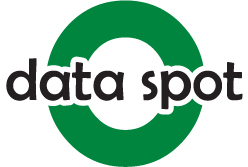 The UNT Data Spot is sponsored by the Office of Data, Analytics, & Institutional Research.